Tesco Personal Injury Claims Guide – How To Claim Compensation For An Accident In Tesco Supermarket? Have you been injured in an accident in Tesco? You could have been working at the store, making a delivery, or doing your weekly shop. No matter the reason for your visit, if you had an accident at Tesco which was the stores’ fault, you could make a personal injury claim. Whilst most visits to the supermarket will be event free, on a small number of occasions people could be injured in accidents caused by the shops’ staff or breach of duty of care. All retailers, businesses, and employers owe a duty of care to staff, customers and other people on their premises. In this guide, we will look at how people can be injured whilst working at or visiting a supermarket, the types of injuries which can be suffered and t the best way to go about making a personal injury claim. We also look at how the personal injury claim specialists at Advice.co.uk can help you. What Is A Tesco Supermarket Accident? How Much Compensation Can Victims Of Accidents Claim? What Can Your Tesco Accident Claim Compensate You For? What Duty Of Care Does Tesco Owe Staff, Customers And Others? I Tripped In Tesco Can I Claim? I Slipped On A Wet Floor In Tesco, Can I Claim? How Long Do Accident Claims Take, Are There Time Limits? What Should I Do If I Have An Accident In Tesco? From food poisoning in a supermarket cafe, shelf injuries, to simple slips and falls, avoidable accidents and injuries could happen at any retailer or supermarket across the country. Tesco is one of the worlds largest retailers and has almost three and a half thousand stores across the UK, with additional outlets around the world. This total breaks down into 479 superstores and almost three thousand additional smaller local shops and petrol stations. If you have been injured on any of the company’s premises, or have had an accident at work as a delivery driver, you could be entitled to make a compensation claim. Before looking at how much you can claim for an accident in a supermarket, what duty of care you may be owed and the ways in which people are commonly injured, we first need to look at what an accident at Tesco is. The simplest definition is that this may be any accident which has happened on premises owned or operated by Tesco. It could include areas open to staff, customers or both groups. It can include accidents which happened in indoor or outdoor areas, and could even include accidents which happen in delivery vehicles. As long as the accident was avoidable and that it was caused by someone else, you could claim damages. If you have had an accident in a supermarket or elsewhere you could have found this guide by searching for a personal injury claims calculator to work out how much you could be owed. We are commonly asked how much people can get for a certain accident or injury and the only answer is that without having a full assessment of your injuries, we cannot say how much compensation you could be eligible to claim. How much injury compensation for an accident in Tesco you could be eligible to claim will depend upon what injury you sustained, and how serious it was. Compensation settlements are awarded according to guidelines developed by the Judicial College these are published as the “Guidelines for the Assessment of General Damages in Personal Injury Cases”. Solicitors acting on behalf of you and the defendant will use these recommended figures as a reference. They are also taken into account by the courts. To help illustrate how much some injuries which could happen in a supermarket accident could be worth, we have included examples below. Please remember that these are examples of what people can be awarded for injury compensation accidents. For a more accurate assessment of how much you are eligible to claim talk to our advisors today. In the previous section and attached table, we looked at how much you could claim for the actual injuries you suffered. However, your final compensation award may also include compensation for the wider and more long-term effect that the accident has had on you. The impact on your ability to work, your income, and workplace benefits if lost. Whether your vehicle or home have had to be adapted to meet new requirements. Costs of travelling to a medical appointment. The costs of any private medical treatment, prescription (paid for) medication, and the costs of ongoing care. The cost of repairing or replacing damaged personal property. There are other costs which you may be able to claim for in your compensation settlement. This might include any wages which have been lost by a loved one due to their having to take care of you. Our advisors can provide you with more information on the types of things you can claim for. All retailers and employers have a duty of care to either their staff and/or their customers. Under UK law, a retailer or supermarket is responsible for managing the health and safety of those working for them or who are on their premises. In practice, a retailer must take every step reasonable to prevent injury. This means implementing proper health and safety procedures, ensuring people have the correct training and personal protective equipment, and other steps. Our team of advisors has a deep knowledge of health and safety legislation and retailers duty of care under UK law, and they can advise the victims of accidents on what their next steps could be. The type of accident you had and the circumstances it happened in are taken into consideration. What is a more important factor in your personal injury claim is being able to show that your accident could have been avoided. It is also important to show that someone else was responsible for the accident which happened. Below we look at some of the different circumstances in which avoidable accidents can happen and which you could make a personal injury claim for. Slips and falls are one of the most frequently seen types of accident in a supermarket. There are numerous different ways in which a slip or fall could happen. You could trip over a pothole in the car park at the supermarket, or you could slip over, due to spilled water in a supermarket aisle. The cause of your accident is less important than whether it could have been prevented and that the supermarket was at fault. By talking to our experts, you can find out if you are eligible to claim for a trip, fall, or slip in a supermarket. Whether you are a member of staff or a customer, if you slipped over due to water or other liquids spilled on the floor in any supermarket, you could be eligible to claim compensation. The supermarket has a responsibility to clear and clean up any spillages or similar hazards, and to demarcate the hazard area so people can avoid it. As long as the spillage has been reported to the store and that there has been sufficient time for them to react, you could have a valid claim. You could make a customer or Tesco accident at work claim for injuries suffered after slipping over on a wet floor if in some way negligence is present. If you slipped or fell over because there were spilled liquids or slippery foods on the floor in a branch of Tesco, you could make a compensation claim. All you will need to do is to show that the store has in some way breached the duty of care which was owed to you, either as an employee, customer, or another person in its store. For more information, talk to one of our advisors today. There are several ways in which you could have suffered either an allergic reaction or food poisoning due to foods bought or consumed in a supermarket and for which the store is responsible. If you have done so and it can be shown that the supermarket was at fault, you could be able to make a food poisoning compensation claim. Examples of when you could have experienced food poisoning from a supermarket for which you can claim include having purchased foods or drinks served in a cafe operated by the supermarket that had not been stored correctly, cooked thoroughly or had passed their sell by date causing you to be ill. If the food was not correctly prepared or did not have the right allergy information, you may have been made ill. If you bought the stores own brand food and later suffered food poisoning after eating it at home, and this was confirmed by a doctor you may also have grounds to make a claim for the ill effects it had on you. With cases of food poisoning or allergic reactions, it is important to see a doctor as quickly as possible. You may require immediate treatment, as the symptoms can increase quickly in some cases. If a business, such as a supermarket, which has a lot of fixtures and fittings does not maintain them correctly, people can be injured. Shelving and racking in storage warehouses, and even customer areas need to be maintained in the correct way according to HSE guidelines. If this maintenance is not carried out, shelving can fail and collapse, causing people close by to be injured. People can also be injured by a slip or a fall in a supermarket which is caused by poorly maintained flooring, damaged pavements outside, or potholes in car parks. If you have been injured in any of these circumstances, we could help you. Whilst it may not be obvious, supermarket trolleys can also be the cause of accidents. If they are in some way defective they can cause slips and falls. They can cause accidents by rolling away from you on spillages. 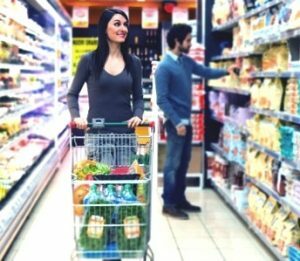 Surprisingly, some of the most common types of injuries from a supermarket trolley accident are head injuries. In concert with failures in fixtures and fittings (such as shelving) are injuries caused by falling objects. Poorly maintained shelving can be a very real hazard, especially in areas where products and items are stacked above the waist or above head height. People can be struck on the head by a falling object and suffer serious injuries. If you have suffered a Tesco worker accident our team is here to help. There are a variety of different ways people can be injured whilst working at a supermarket from those involved in deliveries, having a lorry accident through to injuries caused by a lack of personal protective equipment. Accidents to members of staff can also be caused by factors such as employees not being given enough break time, being asked to do jobs they are not qualified or trained to do, or by employers asking people to work in unsafe ways. If you were shopping in the store and suffered an accident, as long as you can show that you were not responsible, you could be able to make a successful compensation claim. You could have been injured in accidents as described in this guide or in a different way. What is important is being able to show that your accident could have been avoided and that the store was responsible for what happened to you. Our advisors are frequently asked questions such as do claimants need to bring their case within a personal injury claim time limit? The answer to this is that yes, there are applicable personal injury claims time limits which affect how much time you have to start and bring a claim. Depending on the circumstances of the accident and the victim involved, these time limits may vary. The date from which the time limit starts can also vary under certain circumstances. Injuries in a supermarket which happened to a child. From the time of the accident till the age of 18 the claim can be brought on behalf of the child. After this, they then have 3 years to make their own claim. Criminal injuries (caused by assault, etc) 2 years (there can be exceptions to this). To help you have a better idea of whether or not you can bring a claim, we have included a table with examples of personal injury claim time limits in the UK. If you have been injured in a branch of Tesco or any other retailer in the UK we understand that you may have a lot of questions about what you should do next, whether you can claim compensation and how to go about doing so. After you have had your injury or illness treated, you need to speak to a personal injury solicitor who can review your claim and provide you with expert advice on what to do next. We do not think that anyone should have to worry about how much it will cost them to make a claim or how to fund their legal action. 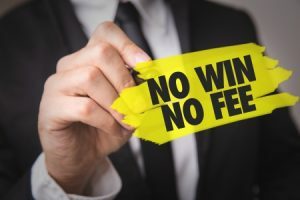 This is why we can offer no win no fee agreements. Under this type of agreement you only make any payments at the point you have received your settlement. As this will be paid via your solicitor, their fees will be deducted before the remainder is paid to you. Our advisors are here to help you make a Tesco accident compensation claim for the injuries you suffered. If you do choose to make your claim with us, you can rest assured that you will have a friendly and experienced team handling your claim. We can help you to collect the evidence that you need to make your claim, and advise you of any additional evidence which could help your claim. We can help organise medical checkups and evaluations of your injuries. This can help you to get any assessments and treatment recommendations you need, as well as provide further evidence of your injury. We will then help to build your claim before contacting the defendant and putting your claim to them. If necessary, we can also represent you if a claim has to go to court. However, this only happens in a very small number of cases. Start by getting in contact with our team using the methods set out below. Next, our team will review your case and let you know if you have a valid Tesco accident claim. If our experts believe you have a valid claim which is likely to be awarded compensation they could be able to offer you a no win no fee agreement. In this guide, we have shown you everything we think you need to know in order to make a fully informed decision about how and when to make a personal injury claim, what you need to do so, and how to choose a personal injury solicitor. The only thing left to do is to contact one of our advisors today about claiming compensation for your accident in Tesco. There are three quick and easy ways you can contact our team. By phone: you can call our team on 0161 696 9685 and discuss your case with an advisor. By email: you can send an email to our team with details about what injury you have and how it happened. Email us at claims@advice.co.uk. By claim form: you can send us a message about your claim using our online claims form. Click the ‘contact us’ button at the top of this page to do so. Below we provide additional resources for victims of accidents which were not their fault. These include related guides on our site and additional resources. If you have had an accident at work this guide provides you with additional advice on how to claim compensation. You may be making an accident claim after you had a slip or a fall. In this guide, we have included more detailed information on this type of accident claim. This is a question frequently asked of personal injury solicitors. Find out more in this detailed guide.